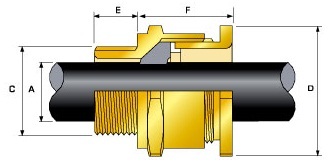 providing mechanical cable retention and an environmental seal on the cable outer sheath. NOTE: *CMP SOLO LSF Halogen Free Shrouds also available on request. # Other thread forms are available.